You're in hot pursuit of ol' Death Cab for Cutie grippin' the sweaty wheel of this crushin' monsterTrack. 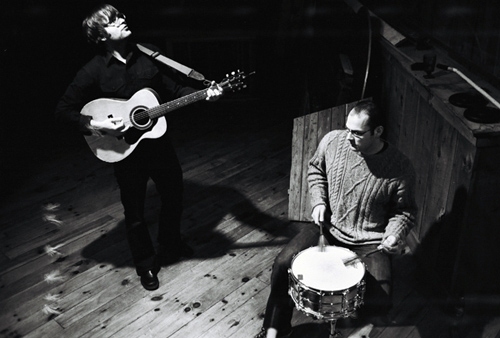 Death Cab for Cutie originally formed in Bellingham, WA, in 1997 with their cassette-only Elsinor Records release, you can play these songs with chords (later expanded and reissued by Barsuk on CD). The group, which appropriated its name from a song title by '60s UK rock ensemble The Bonzo Dog Band, has consistently released outstanding albums over the years, gaining a wider audience and fanbase with successful US and international tours, and seeping into the consciousness of mainstream America with the success of their latest albums and frequent mentions on the hit TV show, The O.C. None of this attention, however, has changed Ben Gibbard's emotionally powerful songwriting skills or the warm production of Chris Walla, except that both keep getting better and better over time. best song by this indie legend. DCFC's best song imo. It brings warmth. this indie band actually made the big time.